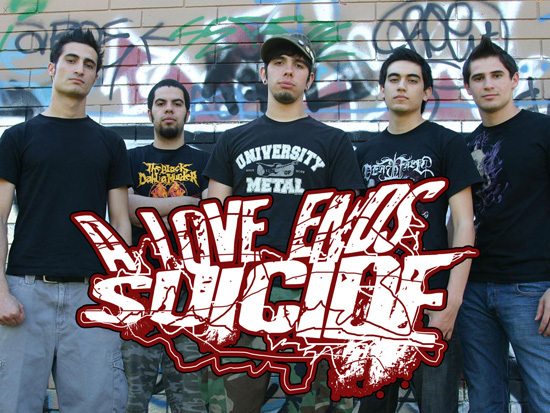 From the city of West Covina, California, A LOVE ENDS SUICIDE (ALES) became a quickly growing act as a progressive/metal band. The group released copies of their self produced 04′ EP throughout most of the United States, which helped build an admirable reputation in today’s music scene. Shortly after beginning their full-time journey on the road, the guys of (ALES) experienced what it was going to take to successfully bring their music the attention of as much of the world as possible. 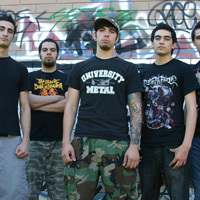 The band consists of five members, four of which happen to be brothers. John Cairoli (vocals) has developed an intense/energy-filled stage performance, standing out among many other acts in the scene. Emir Abdo (Bass, clean vocals) with intense stage presence on Bass guitar also compliments the intensity of the music with melodic vocal lines. Oscar Cairoli (guitar) helps create a sound like no other with his riveting guitar lines and musical influences combined. Andres Abdo (drums), the youngest of the pack, brings forth a great deal of strength, power, technique, and originality to the music. Matt Garcia (guitar) adds a big sound to the group with neck-breaking riffs and heart-pounding energy. In May of 2006, ALES officially signed to Metal Blade Records, with the generous and highly appreciated help of Tim Lambesis of AS I LAY DYING. 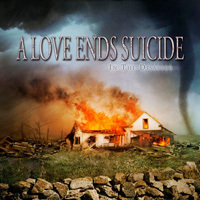 Be sure to look for A LOVE ENDS SUICIDE in a town near you, as they will continue to tour throughout the world.